It’s almost cliché. 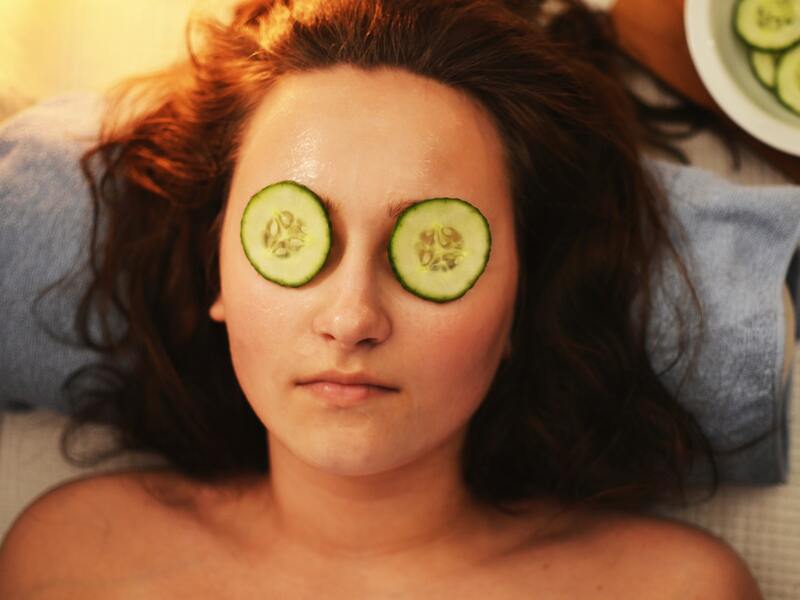 Cucumber slices on eyes or cucumber slices in water. Yet, we could all take a cue from the cucumber. If you haven’t seen – or heard – Macka.B’s “Medical Monday” reggae rap about the benefits of cucumber, or as they call it in Jamaica, “cucumba,” then you will be thanking your Health In Hands Spa blog staff. In an article posted on OrganicFacts.net, they discuss the benefits of cucumber, including: skin care, preventing constipation, maintaining healthy kidney stones and overall physical health, controlling blood pressure, and managing diabetes. The cucumber “originated in India almost 10,000 years ago” and it is sold in slices on “sunny afternoons.” It became a very popular food in Egypt, Greece, and Rome, especially as they noticed changes in the skin, for the better. Cucumbers are rich in silica, which helps with “developing strong and healthy connective tissues in the muscles, ligaments, tendons, cartilage, and bones.” Drinking cucumber juice may be a great new drink as it helps hydrate the skin due to its high water content. And consider adding carrot juice for rheumatic issues. Cucumber slices in your water or salad will add fiber to your diet. If you can handle the cucumber skin, then don’t discard it as it “contains high levels of Vitamin A” which is nutritional. After eating and drinking cucumber, “cucumba” your eyes, turn up Macka.B, and reggae along.